This international contest is open to all. Enter with ease at Submittable. 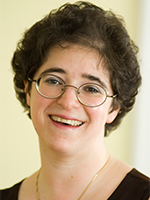 Submit original unpublished works of fiction, up to 3,000 words. The top 16 stories will be selected by the Broken Pencil fiction team. These 16 stories will compete in a weekend-long royal rumble. Readers will be able to vote for one story every hour, and all 16 stories will share one conglomerated comment feed. Whichever eight stories receive the most votes will become the quarter-finalists and move on to the one-on-one portion of the competition. 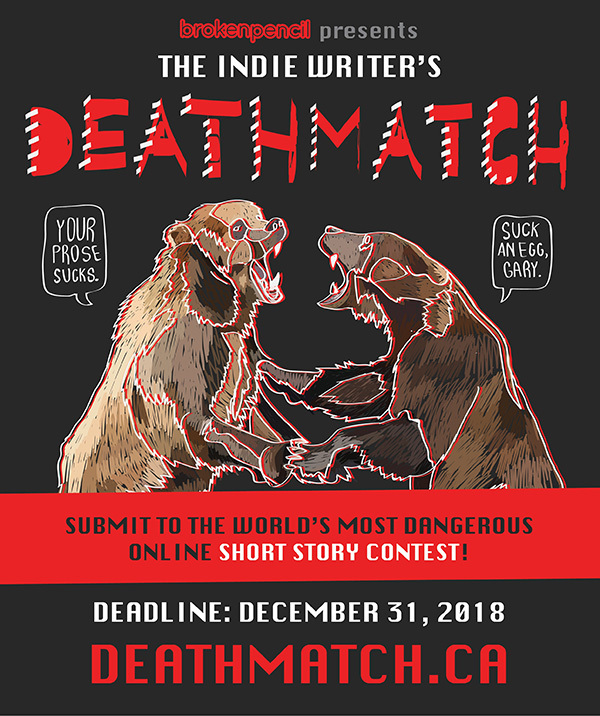 Finalists and winner will be determined by voting on the Deathmatch website in a series of one-on-one challenges between stories. The top three finalists will receive $100, a Broken Pencil Prize Pack worth $100, and publication in the issue. The four remaining stories out of the Top Eight will receive a Broken Pencil Prize Pack. Entry fee is $28, which includes a subscription to Broken Pencil. All fees and prizes are quoted in Canadian dollars.